Leonardo DiCaprio is prepared for turning 40 and doesn't find it daunting because men are no longer considered 'old' at 40. Leonardo DiCaprio is prepared for turning 40. The 39-year-old actor is set to celebrate the milestone birthday in November and he says doesn't find the thought of being considered middle-aged daunting because men are no longer considered 'old' at 40. He told ShortList magazine, "I suppose 40 represents something different, but I've been thinking about 40 for so long that I'm prepared for it. It seems like the age barometer where you're still considered youthful is getting higher and higher. I'm going to hold on to that ideal as long as I can." 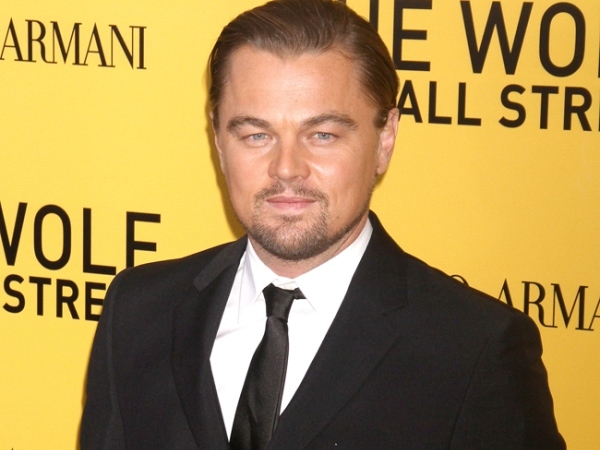 Leonardo is turning heads for his portrayal of debauched stockbroker Jordan Belfort in his new movie The Wolf of Wall Street and he is even planning a lavish birthday bash to rival the ones seen in the film. Quizzed if his character would be 'proud' of his impending party, he quipped, "Not one Jordan would be proud of, because he'd surpass anything we'd do! But hell yeah, I'm going to celebrate." The hunky actor's party guests may even see him bust a few dance moves as Leonardo reveals he used to be an award-winning breakdancer. He added, "Before I was an actor, I was kind of a street breakdancer on my block. I actually won an award in Germany once for pop-locking." Leo was "excited" he could still perform his old dance moves, adding, "I was quite excited that I wasn't too arthritic and could still pull some of it off."